What I’m watching: Both Fyre Festival documentaries, of course —Netflix FTW — and “The American Meme,” a near-perfect examination/takedown of #influencer culture. What I’m listening to: The sound of wind-swirled snow as I update Twitter during Seattle’s #Snowmaggedon2019. The hashtag is dead. Or is it? The answer to both questions is yes — and no. With all the issues facing local government — and public-sector social media professionals in particular — is the humble hashtag worth sweating? I say yes. As public agencies struggling to cut through the clutter and deliver a key message, or maybe even a story, we need something simple and easy to use, both for our staff and the community. Enter the hashtag. However, promoting and encouraging organic use of your hashtag is far more difficult. Many of us fail to launch, and dump the hashtag early in our outreach planning. Details matter, and a creative hashtag can serve as a reminder: Hey, we’re not just a faceless bureaucracy. Nearly six years ago — several lifetimes in the social media sphere — Buzzfeed predicted the end of hashtags. A few months later, Jimmy Fallon and Justin Timberlake dropped the #Hashtag skit, adroitly skewering the way a Twitter conversation would sound IRL. The hashtag can trace its origin to the dawn of Twitter, with its fortunes closely tied to the trend du jour. (Remember in 2013 when Facebook reluctantly introduced hashtags?) Now, with the rise of Instagram, the hashtag is more important than ever. Hashtags remain one of the easiest ways to find content that matters to you on Instagram, Twitter and, increasingly, LinkedIn. Set expectations. Is the hashtag to help you curate your story? Or is it the linchpin of your engagement strategy? If the answer is the latter, rethink your plan. 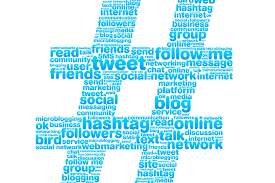 A hashtag can help you assemble content, but it’s no silver bullet. Create a community. If you think we left Twitter chats in 2015, think again. Hashtags still have the power to bring people together over common interests, even temporarily. Yes, a conference hashtag is annoying for your followers — but it’s useful a week later when you want to remember the point a speaker made on Day 1. Play it cool, and avoid trying too hard when creating your hashtag. Truly the most difficult part of social media is walking the tightrope between remaining relevant and trying too hard. Often, using a community-generated hashtag is more effective than trying to develop and introduce a new one. Just remember to check the hashtag before you use it from your agency accounts. When I worked for the City of Issaquah, WA, we routinely interacted with people who used #Issaquah on their posts, regardless of whether they followed @cityofissaquah on Instagram. Often, a simple double tap resulted in a new follower. We never encouraged people to use the hashtag. We simply engaged with people who used it organically. I envy the agencies with a fully formed hashtag strategy and — #goals — a hashtag glossary. In the public sector, the gold standard is the hashtag list developed by British Columbia Ministry of Transportation and Infrastructure. Not every hashtag is going to be perfect, but as public communicators we have a responsibility to build a genuine connection with our community. Remember: Not everything can achieve a #CityHallSelfie level of success.